If it's a non-slip handle for your safety razor you're looking for your search is over. 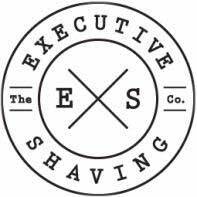 The Executive Shaving Non-Slip Handle benefits from a deep knurl, five grooves and generous dimensions. Most safety razor handles are hollow and made from a metal alloy which is then chrome plated. These handles lack the heft needed to balance the weight of the head, additionally chrome plating can peel off. Not so The Non-Slip handle, it's hefty and with no plating to peel off this handle will last for many decades. Don't overtighten the handle to the safety razor head. Stainless steel is harder that the alloy used for most heads, if you overtighten you run the risk of stripping the threads on the head. A gentle nip is all that's needed to tighten the handle securely to the head. This handle is not pretty to look at but it is high effective. For men who prefer a dep knurl, men who don't enjoy the grip they once had and for anyone who wants a non-slip, stainless steel handle.